Ask a Central Connecticut Electrician: Why Upgrade a Service Panel? Your electrical system is one of the most important components of your home. The electricity that comes from the street ties into a central service panel that distributes the power throughout your home to the switches and electrical outlets. That service panel handles all of the electricity that comes into your home. If you have an old service panel or a fuse box, upgrading it to a new circuit breaker panel can have tremendous potential benefits. Not only that, but it also acts as a safety measure in case there is a surge in the power it will automatically break the connection so that your home won’t catch fire. 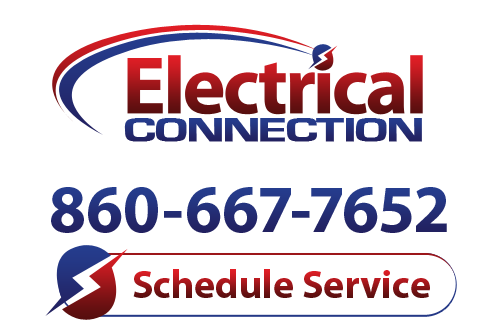 If you need a Central Connecticut electrician, make sure that you call the friendly experts at Electrical Connection, Inc. We have years of experience working with countless customers to help them get safe electricity in their home. Check out our quick explanation of why you might want to think about upgrading your service panel. Here are a few of the benefits of upgrading your service panel. Safety – Probably the most important benefit of upgrading your service panel is safety. If your service panel is old and it isn’t properly breaking the circuit when they get overloaded then your home could be a fire risk. But on the flip side, if your service panel is tripping breakers too often then it likely is an inconvenience. A Hartford electrician can help you upgrade your service panel so that it works well. Convenience – If your service panel is flipping switches too often it likely means that you’re having to go outside and flip the switches too often. If you have a fuse box then it likely means that you’re having to replace your fuses all the time. Make sure that you call Electrical Connection, Inc. today to talk with a Central Connecticut electrician. We have years of experience working with all different kinds of services panels and we can help you replace yours quickly.